We’d love your help. 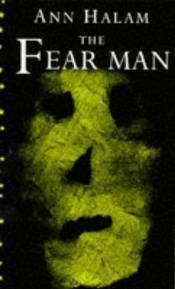 Let us know what’s wrong with this preview of The Fear Man by Ann Halam. A dreadful secret hangs over the deserted house on Roman Road. What is it that keeps drawing Andrei to it? Why is his mother so afraid of the place? And what is the unknown presence, not human, not a ghost that seems to be stalking the family: Andrei and his mother, his little sister (who believes she can do magic) and their baby brother? Andrei's mother has been constantl A dreadful secret hangs over the deserted house on Roman Road. What is it that keeps drawing Andrei to it? Why is his mother so afraid of the place? And what is the unknown presence, not human, not a ghost that seems to be stalking the family: Andrei and his mother, his little sister (who believes she can do magic) and their baby brother? Andrei's mother has been constantly on the run from the father he's never met, for as long as he can remember: but now the nightmare is closing in, and it's time to turn and face the monster. Whatever that may cost. 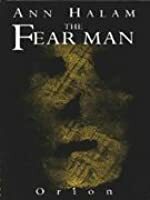 To ask other readers questions about The Fear Man, please sign up. I read this book in the bus and was finished quite soon as it didn’t hit the 200 pages. The chapters were rather long with little spacings for stops, but many sentences ended with the page end and the stopping problem I mentioned yesterday, wasn’t that bad through this. Most of the story was rather slow, but the pace picked up whenever there was a threat to the children and during the finale. This was probably due to the first person narrator, which was a bit odd at the beginning, but I soon got I read this book in the bus and was finished quite soon as it didn’t hit the 200 pages. The chapters were rather long with little spacings for stops, but many sentences ended with the page end and the stopping problem I mentioned yesterday, wasn’t that bad through this. Most of the story was rather slow, but the pace picked up whenever there was a threat to the children and during the finale. This was probably due to the first person narrator, which was a bit odd at the beginning, but I soon got used to it. Andrei is the narrator of the story and the slow pace kind of resembles his thought process. He is far from being stupid, but he has his moments of stupidity single-mindedness. Though the decisions he makes are explained through his upbringing, it’s not always understandable why he is being so stubborn. Elsa on the other hand is open minded and seemingly knows the things she needs to do without much thinking about them. This, however, also made her quite an arrogant person, but one of those that kind of have the right to be, thanks to their abilities. I enjoyed it when she – and the other female lead, Dita – confronted Andrei with what he didn’t want to think about. His reaction was most of the time unsatisfying, yet understandable for his kind of character. Those three are pretty much the whole cast. We learn about the mother, Andrei’s father and other adults (and kids), but even if they play a plot-related role they don’t appear that often. Still, there was some kind of sympathy for the mother and aversion towards the father, on my part. All three women (Elsa, Dita, mother) were a nice change to the lovey-dovey girls/women I had to read about in The Awakening and The Hunter’s Moon. They were strong, stubborn, independent and simply women who don’t let anyone tell them how to live their life. Of course they also had their issues, but they were still a nice variation of the most common interpretation of the gender. From quite early on it was clear that there would be another element in the mix. The creatures attacking them let you think as much already in the blurb. Elsa later gave it a name: Magic. It was explained how it works, who is able to use it and how this gift is inherited. All the information I missed in the novel I previously read. I enjoyed the descriptions of the magic and its user. It was nice, something different, something phantastical, yet still a bit sciency and rational. I like that, but there still could have been a little more of it. Like how did Elsa know which spells/enchantments to use? Is the knowledge inherited as well or did she read something? It was only described as her being a natural talent, but I still would have liked a bit more about it. Interesting and different urban fantasy for YA/teens. Good creepy read. One aspect I did not quite buy - (view spoiler)[that the narrator's full nature had been separated from him at birth as a cloak, by his mum, to allow him to choose whether or not to fully embrace it or choose to be 'normal' when mature enough, because how on earth could something like that evolve (hide spoiler)] but it was an interesting multi cultural story of family life under pressure from a menacing past figure. As well as being a children’s author, Ann Halam writes adult science fiction and fantasy books as the popular and prizewinning author Gwyneth Jones. Her most recent titles for Wendy Lamb Books are Dr. Franklin’s Island, Taylor Five, and Siberia. She lives in Brighton, England.